A man delves into his grandparent's history as massively popular mind readers on the radio. 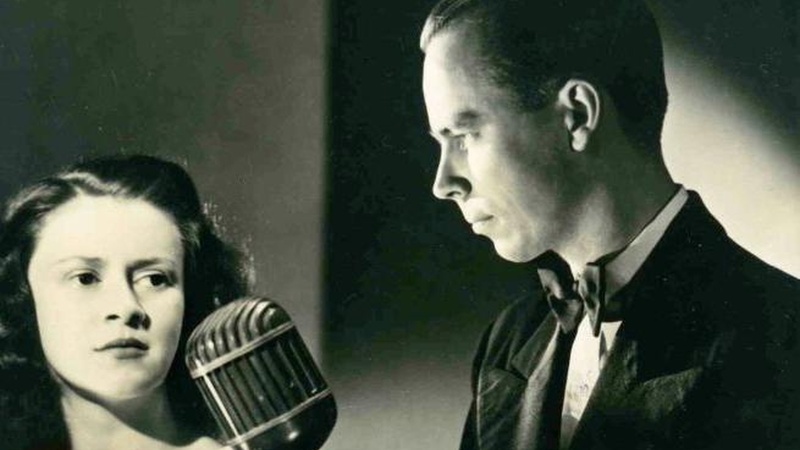 In this story from the Australian Broadcasting Corporation, Jesse Cox's grandparents were radio entertainers known as "The Piddington's" on BBC radio in the 1950s. Their broadcasts consisted of elaborately staged demonstrations of telepathy. Jesse's grandmother, Lesley, would perform amazing feats of mind reading while sequestered aboard an airplane in flight, or in a dive tank submerged in water. Syd Piddington would help moderate the proceedings in front of a live audience at a studio in London. Decades later, Jesse Cox is determined to find out the secret of their act, despite the fact that the few remaining family members who know the secret are keeping it to themselves, and his aging grandmother's own memory of her past is slipping away. Keep Them Guessing was produced by Jessie Cox, the sound engineer was Russell Stapleton, music by Jai Pyne, the supervising producer was Claudia Toranto. You can find a longer version of this story, along with additional photographs and audio clips, on the Australian Broadcasting Corporation website. Note: This program originally aired on August 14, 2012.